New short video – I take you on a quick tour that showcases some of our riding’s wonderful variety, while highlighting some Green Party platform points; the video ends with an overview of my Community Democracy Ambassadors plan for Toronto Centre – please view it. Watch this space, and see voteellen on Facebook and Twitter, and Ellen Michelson for Toronto Centre (Green Party of Canada) on Facebook, for updates. 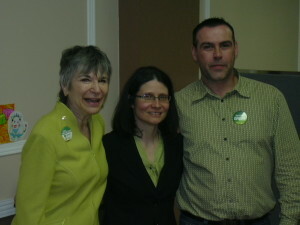 Debate photos are posted on my Facebook Candidate page, Ellen Michelson for Toronto Centre (Green Party of Canada). 740 Right On The Money: I was interviewed on Sunday morning, April 24, at 8:30 a.m.
11 a.m.-7 p.m. Monday-Saturday, 11 a.m.-6 p.m. on Sundays. To contact our campaign, and to volunteer, email voteellen@greenparty.ca, call 416-703-3827. To donate, click on Contact Us, Get Involved in the links above. A smart economy, strong communities, true democracy – it’s time – vote Green! 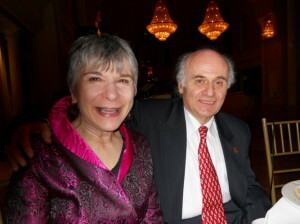 Opera star/radio personality Jean Stilwell and Ellen are co-emcees.